The Benefits of Merino Wool. Let me just take a minute to tell you why merino wool is the greatest material known to man. If you have ever read another blog related to travel you will likely have read the list that follows many times before, but to my mind this simply reinforces the fact that merino wool is *the* greatest material for travel and for clothes in general. Merino wool is naturally anti-bacterial and anti-odour meaning it can be worn for days without washing, this is particularly relevant when traveling since it essentially unlocks the most effective way to reduce your pack; wear clothes longer and carry less. For my part I wear my merino clothing for at least twice as long as I would cotton – and therefore carry (and own) half of what I used to. Merino wool is excellent at regulating temperature, staying cool in summer and warm in winter; living in Sydney we do have some very warm months and having temperature control where it counts is very important! Likewise the benefit of merino in colder climes is immediate and merino layers that are thinner than cotton can be significantly warmer. Merino wool is breathable and excellent at wicking moisture making it comfortable all year round; superfine merino is very soft and comfortable to the skin, not itchy like regular wool, it feels immediately warm to the touch even when cold – unlike cotton, it is also naturally anti-static which means it attracts less fluff on the move. Merino wool dries incredibly quickly from the wash and never needs ironing – retaining it’s shape with the natural bounce of the material; it is also a very lightweight material which packs down remarkably well. It’s naturally fire retardant too which is good to know. No. That last one is a lie. 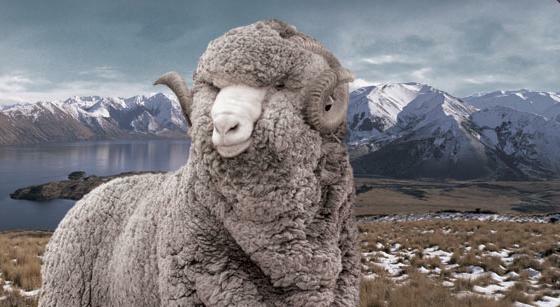 This is the downside to merino wool – it isn’t cheap to buy ethically sourced merino wool. It is important to know where your merino comes from because there have been some awful corners cut in the sourcing of merino wool in the past (google ‘mulesing’… but be warned it isn’t pretty). I shall get myself some socks!